NAPA, Calif.--(BUSINESS WIRE)--An epidemic of apocalyptic proportions is sweeping the globe, as fans of Robert Kirkman’s best-selling comic series and one of cable TV’s most popular shows well know, causing the dead to rise, society to crumble, food to become scarce and all manner of hardships to be visited upon the populace. Luckily, there is still wine. 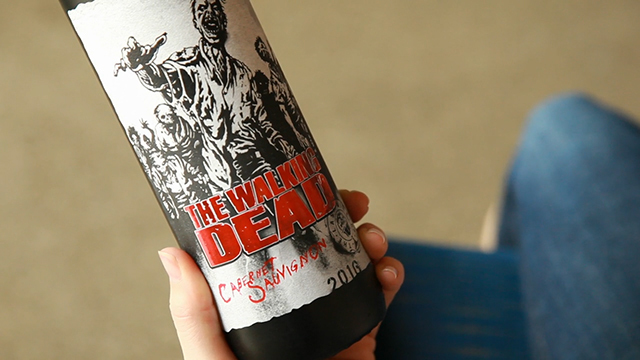 The Last Wine Company is introducing The Walking Dead Blood Red Blend and a Cabernet Sauvignon, each featuring a label that respond to the Living Wine Labels app, an augmented reality innovation that brings labels to life in compelling ways. “Watch The Dead Rise” by downloading the Living Wine Labels app from the Apple App Store or Google Play Store. The California wines, available nationally, retail for $18.99. 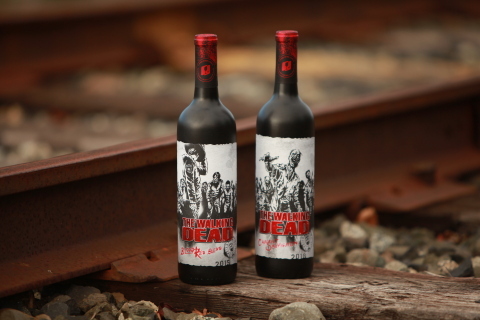 The Blood Red Blend sports an image of Sheriff Rick Grimes staring down the undead. When the app is launched and pointed at the label, Sheriff Rick fights off the “walkers” in the wine aisle. 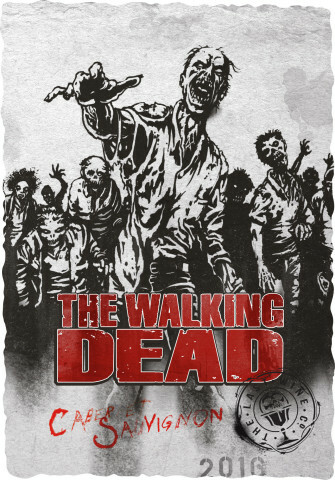 The Walking Dead Cabernet Sauvignon label features a horde of zombies, and when the Living Wine Labels app is launched and pointed at the bottle, they break out of the label onto the phone screen. Pointing the app at both labels, when the bottles are side by side, triggers the characters to fight each other. Corks are collectible, featuring a variety of images such as barbed wire, a walker hand and an undead head. The Living Wine Labels app builds on the popularity of the 19 Crimes wine app, which first brought augmented reality to wine labels. The criminal rogues on the label of each 19 Crimes wine come to life to tell their own story when the app, which has been downloaded more than 500,000 times, is pointed at the label. The Living Wine Labels app will continue to work with the 19 Crimes wine labels, as well as labels from Chateau St. Jean, Beringer Brothers and Gentleman’s Collection, in addition to The Walking Dead wines. All the labels will bring entertainment and engaging experiences to the wine aisle beginning in February, 2018. Fans of The Walking Dead comic series are loyal and highly involved, with more than 50 million comics in print and digitally, worldwide. The series has millions of followers on social media, and The Walking Dead television show, which will return from a winter hiatus in February, is the #1 show for ages 18-49, with more than 36 million Facebook followers. 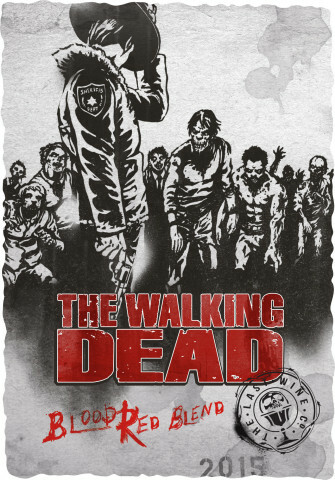 The Walking Dead wine features a California Cabernet Sauvignon and Blood Red Blend, and with The Living Wine Labels app, the labels animate.